The young patient was suffering from a condition that could have been fatal. Some of the medical professionals performing chest compressions. 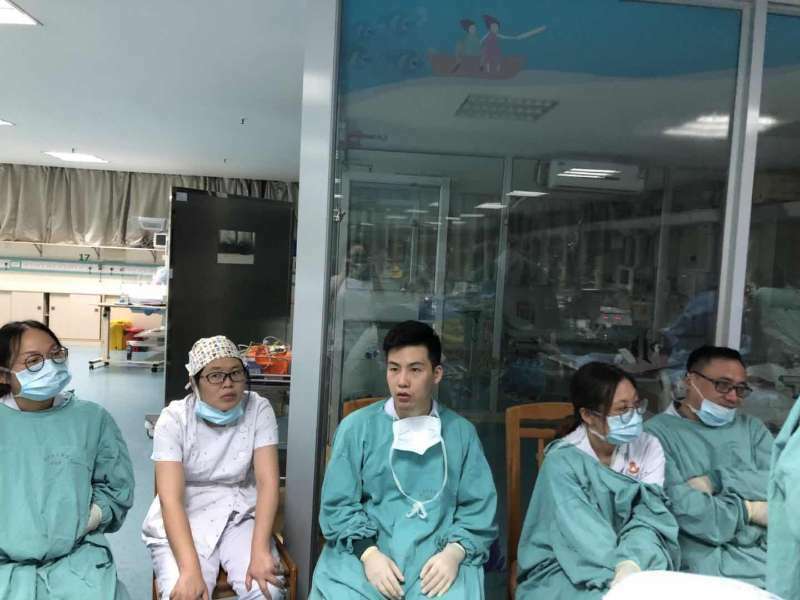 The patient, who is named Xiao Yu, was admitted into the paediatric intensive care unit of Changzhou Children's Hospital on 20 September, reported Channel News Asia. Xiao had been suffering severe stomach pain and fever and was diagnosed with fulminant myocarditis, which is an inflammation involving the muscular tissue of the heart. He underwent treatment and his health seemed to improve after that. According to China Daily, first aid was given but twice Xiao stopped breathing. His condition eventually stabilised, but remained in the high risk zone. A doctor at the hospital named Zou Guojin told China Daily, "Fulminant myocarditis features quick onset, severe symptoms, rapid progress, and high mortality. The result is unbearable if the patient does not receive timely treatment." 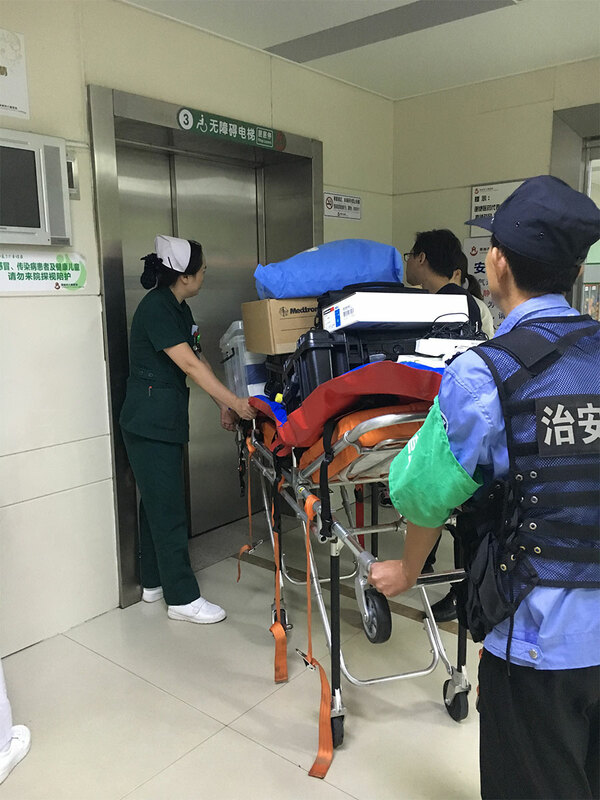 Doctors decided to apply extracorporeal membrane oxygenation (ECMO) on Xiao, but the machine had to be brought in from their counterpart hospital in Shanghai. The ECMO machine being wheeled into the hospital. Doctors did not know if Xiao would have made it, but as one of the staff members later posted on WeChat: "We are desperate to save every young life that is at risk with all our efforts. The world is not that terrible because we love you in silence." 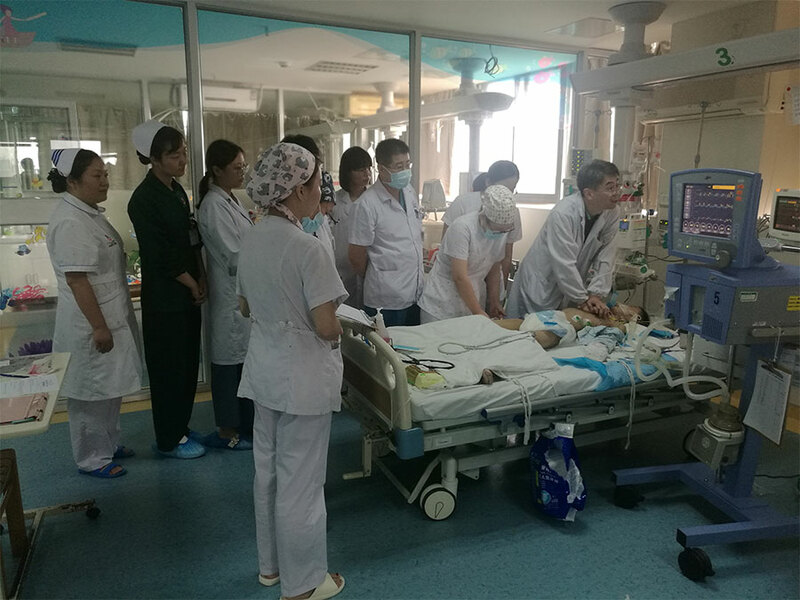 At 2.50pm, Xiao's heart completely stopped so staff quickly formed a relay team to deploy chest compressions while waiting for the ECMO machine to arrive. Some of the medical professionals who participated in the relay. Asia One reported that the hospital had organised a team of 30-odd professionals to perform the CPR relay. Each staff performed CPR for one to two minutes before taking a rest, and another staff member would take over for the next one to two minutes. The relay went on for more than five hours, according to Channel News Asia. The machine helped Xiao's heartbeat start again, though very weakly. Reports said he is still under treatment at the time of writing. Do you know what are the do's and don'ts when someone has a heart attack? Life saving tips to take note of. His father was initially hesitant about the decision. The Rembau MP also revealed his wish to run for UMNO presidency in 2021.